Baila Ndiaye is finishing up with his new model for a new plane. He built the model entirely from used (second-hand) parts. 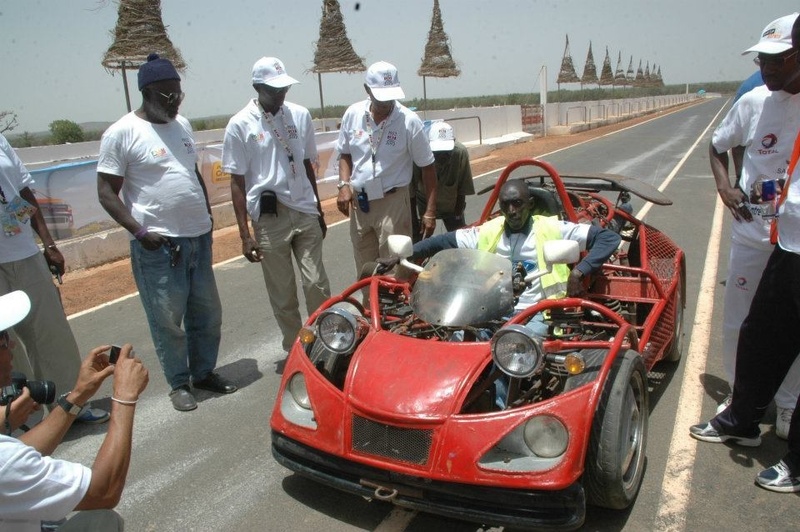 Even so, Baila Ndiaye has already built a car entirely out of recycled materials. There are several models he intends to present to African businesses interested in starting a heavy machinery industry in Senegal or any part of Africa. His only problem is that he can’t seem to convince any African investor to throw the dice on him. The Senegalese virtuoso, with a handful of students and without funds, has set himself a new challenge. He has vowed to put together an ultra-light aircraft using only second-hand parts with the same goal as before: to prove that it’s possible “to make what we want using only what we’ve got in Africa”. Baila Ndiaye, who is 51 years old, settled in France after completing high school. He set up a company in Mulhouse that specialized in electronics, before returning to Senegal 15 years later. 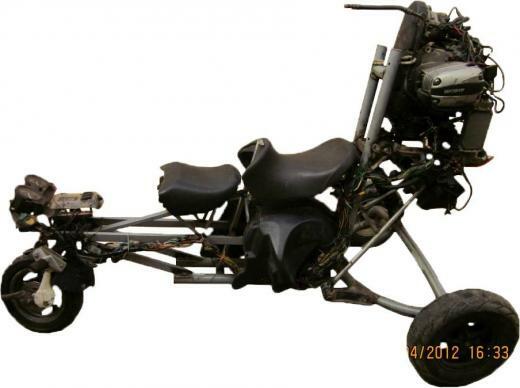 That’s where, three years ago, he built Syndiély – a single-seater car made entirely from used parts. Building on this first success, he threw himself a new challenge. He started to build an ultra-light aircraft, before personal reasons compelled him to return to France, where he runs an engineering company in Strasbourg. However, he hopes to return to Senegal to complete his project in the near future. “In Africa, we need more heavy machinery in order to develop. That leaves us with two solutions: either buy them and get into debt, or build them ourselves with materials that we already have. That’s what I wanted to do when I built the Syndiély car. I named it after the daughter of ex-Senegalese president, Abdoulaye Wade, who often took part in the Dakar Rally,” Mr. Ndiaye said. To build Syndiély, Mr. Ndiaye sought used and recyclable materials from neighbors and friends. At the beginning, they would poke fun at what they perceived was another pipe dream. He finally managed to salvage all the materials he needed for the construction of the car from a junk yard several miles away. The parts came from all kinds of used and abandoned car models and were originally headed for scrap. For example, Mr. Ndiaye re-used the broken motor of a motorbike, and the front axles of a totaled Peugeot 205. “It’s not only possible to make what we want by using only what we’ve got in Africa. Of course, my car isn’t perfect, but people now know that we can build a car properly with next to nothing. That means if we can start and focus and grow, we can make the best cars and heavy machinery for the twenty-second century,” Mr. Ndiaye said with conviction. The propeller and wings have yet to be added to the prototype aircraft. For his plane, he started building the model by salvaging old parts just like he did with his prototype car. When complete, the plane should have a wingspan of 13 metres. To take off, this model would only need a 100-metre runway. It will be able to fly at around 100km/h, consuming 5 litres of fuel every 100 kilometres for a maximum flight-time of 5 hours. The prototype is capable of carrying up to 200kg of goods. He named the aircraft, Sakiliba, after his grandmother. She was originally from the city of Kayes, in western Mali and Mr. Ndiaye has fond memories of her. “Once the plane is finished, I’ll make my maiden voyage to Kayes in memory of her, ” he said. Next articleWhat Has Ghana’s Akayida Dance Gotta Do With Al Qaeda? Very encouraging to see this innovation from recycled materials. Would be nice if he got some support from African businesses. Makes me think there should be some kind of African innovation competition or something to encourage local production of cars and planes. Anyone up for starting this? It’s about time that we get serious about being producers and not just consumption champions. But it is definitely hard to change the mentality of people who have become accustomed to buying rather than making. All in good time, maybe. Love the new look of the site!